National Competitiveness Council calls for broadening of the tax base and reforms in sheltered professions such as Law and Healthcare. 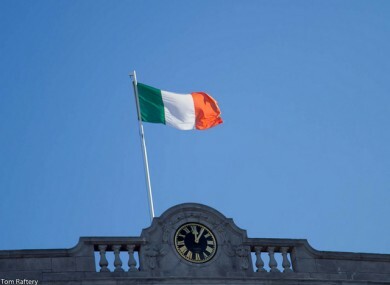 THE IRISH ECONOMY has stabilised, says the National Competitiveness Council (NCC) in its latest report. However it warned that further efforts were needed to broaden the tax base and reform the public sector. Reduced demand and collapsing property prices had made Ireland significantly more cost competitive, said the report. However, “Ireland remains a high cost location” it warned, with businesses in particular facing pressure from high cost long term lease agreements and high labour costs. “It is important that policy makers continue to focus on taking the necessary actions to reduce enterprise and consumer costs” said the report. In this regard the focus on maximising competition and removing barriers to competition in sheltered sectors is paramount. Recommending continued investment in strategic infrastructure such as next generation broadband, Chairman of the Council Dr Don Thornhill said that supplying an adequate amount of credit to enterprise was also important, as were “pro competitiveness reforms in sheltered areas” such as the healthcare and legal services. Professional services have fallen in price over the course of the recession, but legal services are 12 per cent higher than they were in 2006. Labour costs are still 2 per cent higher than the OECD average, but unemployment is among the highest in the EU at 14.4 per cent. The report highlighted the number of young people facing poverty, with 15.1 per cent of single working people falling into that category. It follows yesterday’s ’50 Ideas to drive growth’ economic action plan from IBEC. It called for more tax incentives, welfare reform and business supports. Email “Irish economy has stabilised, but more reform needed”. Feedback on “Irish economy has stabilised, but more reform needed”.